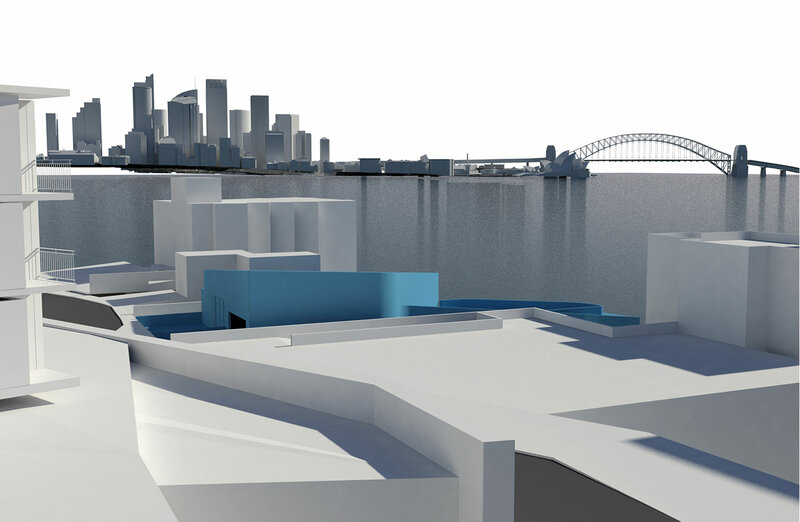 Tzannes were engaged to undertake a feasibility study on a harbour front site in Darling Point which had difficult planning and topographical constraints. 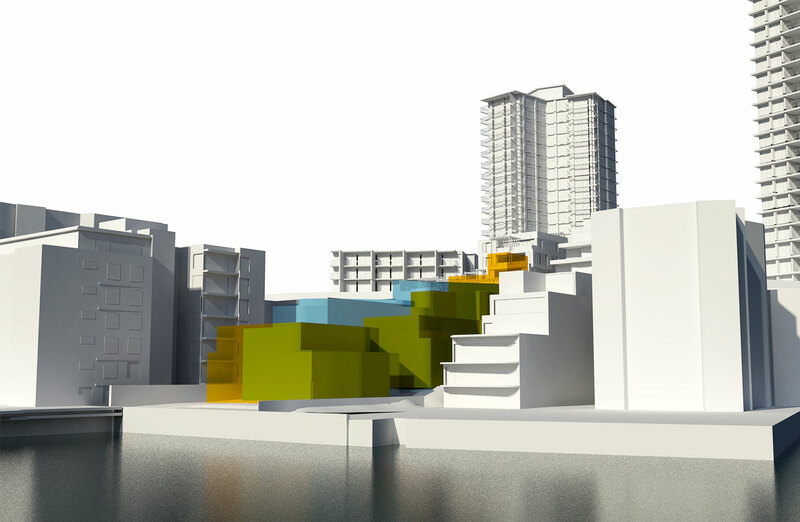 Previous development submissions undertaken by other architects had been rejected for breaching the sites planning controls. 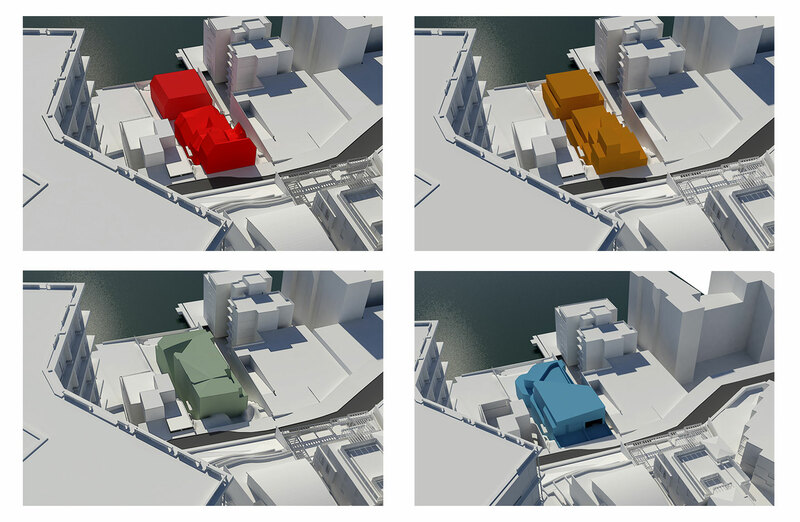 The client approached Tzannes to re-examine opportunities for consolidating two harbour front blocks into one and converting the mix from two single homes to five residential units. 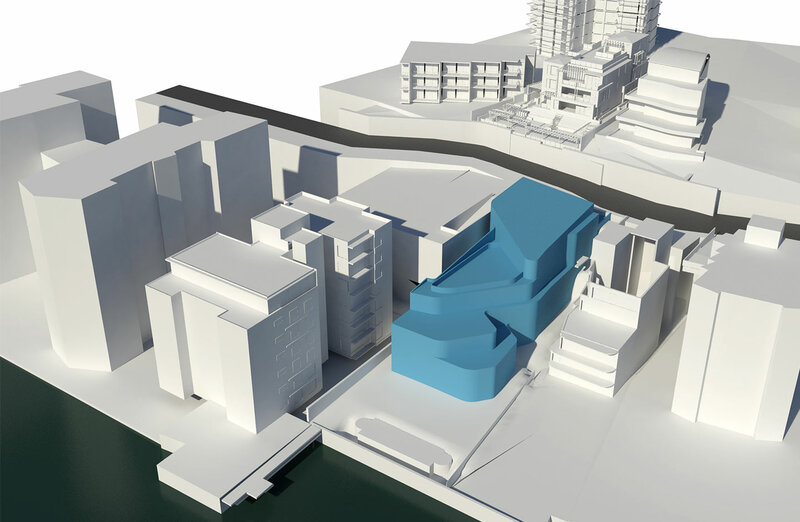 The initial design study concluded the existing planning controls were not appropriate for the site and prevented the orderly and economic use of the site. 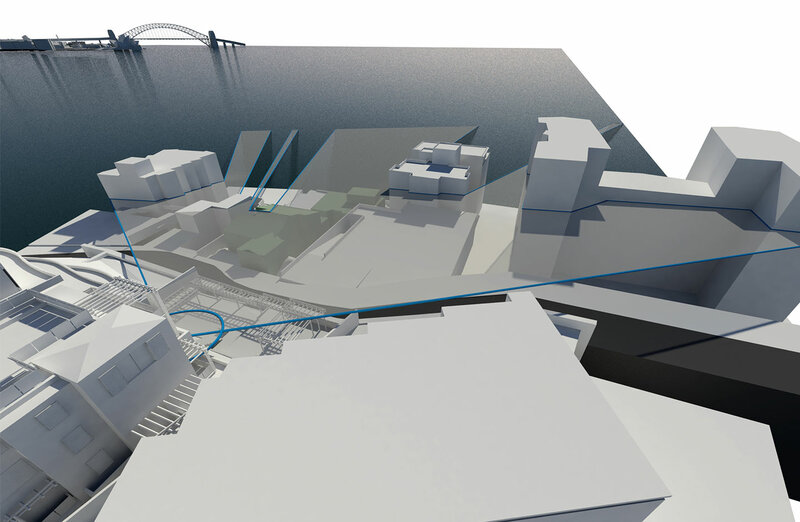 Tzannes along with the planning consultant decided to proceed with a Planning Proposal, effectively seeking a site specific principle LEP for the site. 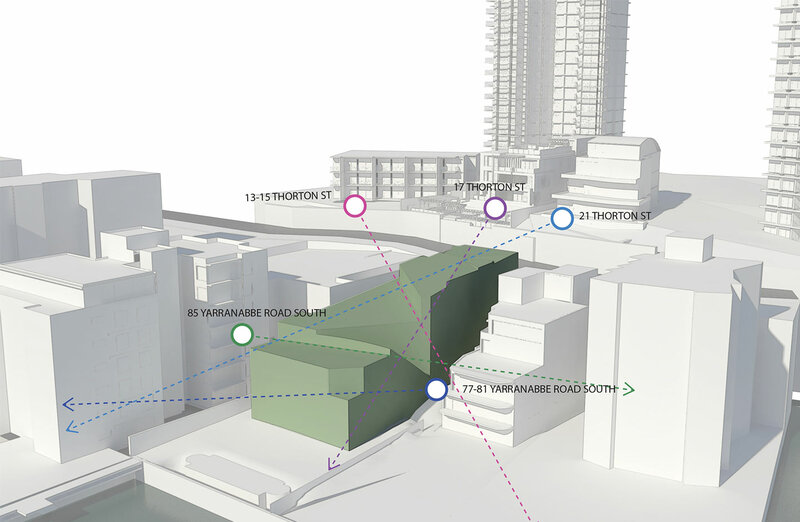 Tzannes undertook a detailed urban design assessment looking at the implications of building 5 residential units on the site. In consultation with the client, approving authorities and other relevant stakeholders Tzannes crafted a building envelope that provided the scope to achieve the client’s ambitions while demonstrating to the approving authorities an improved built outcome over the application of the existing development controls. 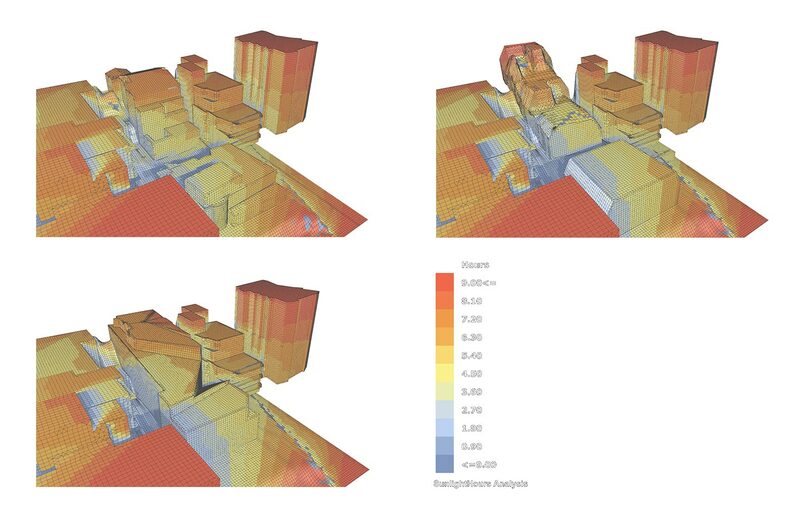 Tzannes employed advanced digital modelling and analysis tools to determine a building envelope that maintained or improved neighbouring and precinct amenity. The existing conditions, the current planning controls and the proposed planning controls were systematically tested and assessed. 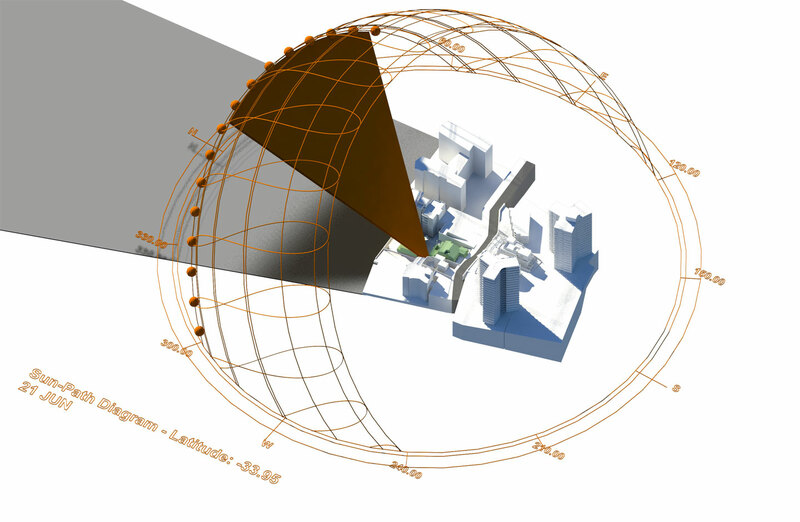 A building envelope was designed and demonstrating improved urban design outcomes. 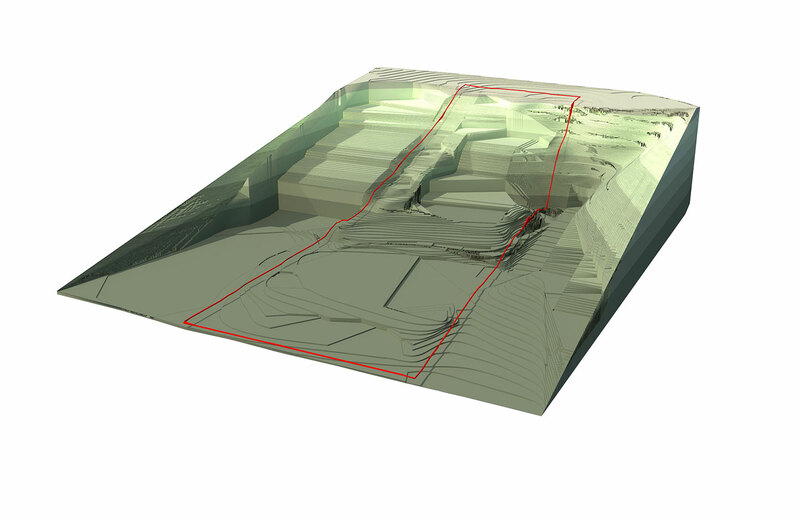 This design allowed for the creation of a set of site specific planning controls which satisfied both the clients and planning authorities’ objectives.